David Austin – Vermont lawyer focusing on Corporate Services, Mergers and Acquisitions, Commercial Real Estate, Franchising and Employment - Sheehey Furlong & Behm P.C. 2001-2013, President, Bruegger’s Enterprises, Inc.
1997-2001, Executive Vice President and General Counsel, Bruegger’s Enterprises, Inc.
1988-1997, Associate and Partner, Sheehey Furlong & Behm P.C. 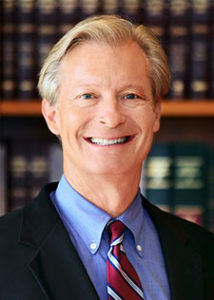 David T. Austin has worked as an attorney and a business person in Vermont for nearly 30 years. David initially practiced law with the firm from 1988 to 1997, first as an associate, then as a partner. He focused his client service on business, transactional and franchise matters. He also represented numerous owners and tenants in commercial leasing transactions. From 1997 to 2001, David was Executive Vice President and General Counsel for Bruegger’s Enterprises, Inc., a franchisor and operator of over 300 bagel bakeries in 26 states. From 2001 to 2013, David served as President of Bruegger’s. David held that position through three different ownership groups, including one private equity firm. David rejoined the firm in 2014 and is of counsel to the firm. He has renewed his focus on business and transactional matters. He offers the firm’s business clients the benefit of his experience as an attorney, in-house counsel and executive. Represented companies and individuals in the acquisition of various companies located inside and outside Vermont. Represented companies in loan transactions with financial institutions, including loans syndicated among multiple lenders. Represented companies in connection with employment and termination agreements, and related employment issues. Represented a national restaurant company in creating a franchising program, including franchise sales and compliance procedures and in the management of relationships with franchisees. Represented minority shareholders of a public company in the purchase of a business segment from that company. Helped direct a successful effort to acquire and manage a franchise company based and operated in Canada. Participated in the development and presentation of materials successfully used in two sales of Bruegger’s Enterprises.